Children from P4 - P7 have the opportunity to take up musical tuition if they wish to develop their musical skills! We are thrilled to have so many pupils involved in this area of school provision, and as you can see, they're really enjoying it! 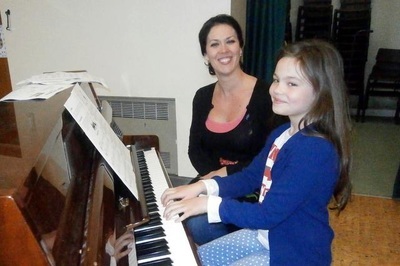 Mrs Burnside provides singing and piano lessons for individuals or for groups of children. Individual lessons cost £7, paired lessons £3.50 and grouped lessons (3 or more) £2.50. 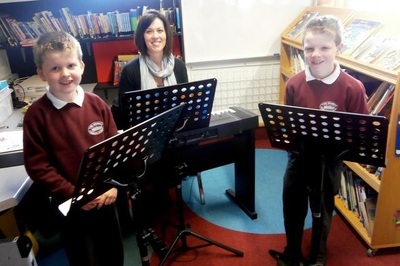 Click here to visit Mrs Burnside's music page.